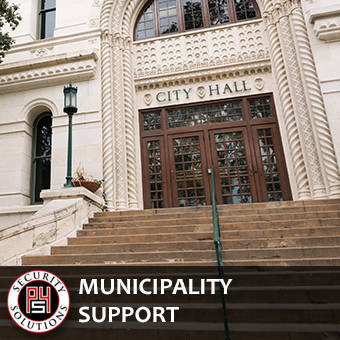 Hiring the right leader to head up a municipal law enforcement agency is one of the most critical components of an organization’s success. The highly skilled team at P4 Security Solutions have the real world knowledge and expertise to help our clients select the finest individuals for the positions of Chief of Police, as well as and other staff leadership roles. Law enforcement’s relationship with the public it serves has gone through unprecedented change during recent years. As traditional law enforcement policies and methods are increasingly being questioned by the media and citizens, there sometimes is a need to conduct internal investigations of sworn officers and other personnel. The expert professionals at P4 Security Solutions can help law enforcement agencies conduct internal reviews that are unbiased and equitable to all parties. Municipalities are facing more litigation today as it relates to the daily activities of their law enforcement departments. In retrospect, it becomes clear that many legal problems that face cities could have been avoided if better policies and procedures were in place. The highly skilled team at P4 Security Solutions have many years of experience consulting with attorneys, insurance companies and municipal officials on crafting proactive policies that reduce liability exposures.